In order to keep our catalog full and to continually expand our selection, SparkFun has partnered with several companies to ship a select list of our products. Note: Please note that this product only ships domestically to the U.S. This is a two pack of flat mills from Carbide 3D that are perfect for milling flat or prismatic surfaces. 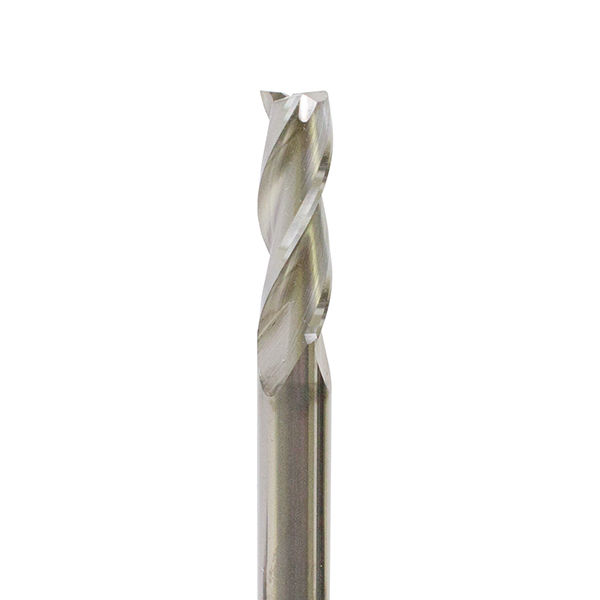 Each mill in this pack features a cutting and shank diameter of 0.25 inches and a cutting length of 0.75 inches. These cutters really are great for specialized 3D machining and fabrication. Each cutter is made of solid carbide to ensure long lasting use. Note: If you are using these cutters with a Nomad, you will also need a 0.25in collet.